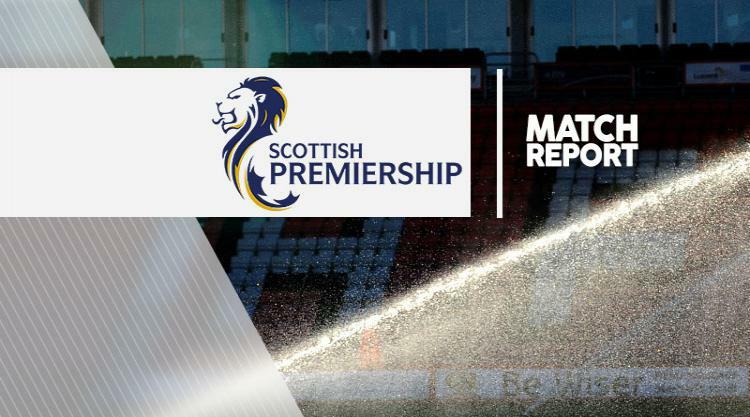 Liam Boyce struck twice as Ross County finished best of the rest in the bottom half of the Scottish Premiership after a narrow 2-1 win over Kilmarnock. The Staggies conceded an early penalty which Conor Sammon converted after Jordan Jones was brought down in the box. Jim McIntyre's men restored parity though Boyce, who bundled home on 42 minutes and the striker secured the win in the second half with a lovely chipped finish to send the 172 fans who made the trip back up the A9 road happy. It also extended the Highlanders' run to eight games unbeaten and ensured they finished seventh, while Killie had to settle for eighth. There seemed to be a feel-good factor at Rugby Park following the news that former chairman Michael Johnston stepped down on Friday. He was a man who split opinion amongst the Killie faithful but, with his departure and reports of Lee McCulloch being lined up to become manager on a permanent basis, there was a renewed sense of belief. And despite starting on the back foot here, after Christopher Routis and Boyce passed up good opportunities for the visitors, they took the lead through Sammon's penalty on 10 minutes. The in-form Jones darted and weaved into the box and was brought down by the outstretched leg of Jonathan Franks. Referee Bobby Madden had no hesitation in pointing to the spot and Sammon fired low into the corner for his fifth goal of the season. It was an entertaining first half with chances at both ends as the sides traded blows. County landed their's minutes before half-time when they levelled the scores. Franks atoned for his earlier error, hitting a stinging 25-yard drive which cannoned off the inside of the post, Routis followed up and his rebound was bundled in by hitman Boyce despite goalkeeper Jamie MacDonald's best efforts to keep the ball out. Killie were dealt a further blow when Greg Kiltie had to be stretchered off following a fairly innocuous challenge and Rory McKenzie replaced him at the interval. Kristoffer Ajer made an important block to deny substitute Dylan Dykes for McIntyre's side just after the hour mark as County searched for a second. At the other end, Adam Frizzell was twice denied from distance by Aaron McCarey before McKenzie brought out another save from the shot-stopper. Those saves proved invaluable as County took the lead on 70 minutes. Routis played a long ball over the top, Ajer misjudged the flight of it and Boyce punished the Norwegian centre-back, lifting the ball over the stranded MacDonald before nestling in the net. Killie pressed for an equaliser but County were able to resist as their season finished with a flourish.